Ok,we know almost everything is published online and that’s why internet become popular in the last 10 years but we can’t deny the importance and effects of printed words or printed designs. I don’t know if the sale percentages of print graphic design magazines dropped in the few years because of internet(probably,some are not published anymore) and but be sure that they are still in our lives and still they present new things.To be honest i don’t buy these kind of magazines regularly.But if see an interview with some graphic designers i definitely buy. Today we bring together print design magazines for graphic designers, web designers,web developers and digital artists.If you know any other which you like,please drop a comment. 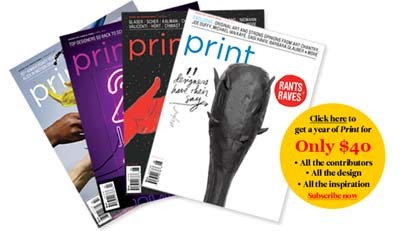 Print is a bimonthly magazine about visual culture and design.Print Magazine is published 6 times a year, which may include an occasional special, combined or expanded issue that may count as two issues.In 2009, Print was awarded the American Society of Magazine Editors’ National Magazine Award for General Excellence in its circulation category for the second year in a row.Print magazine is a MUST for any designer and a good resource for graphic artists in general. With web design and digital media dominating the market place these days, Print keeps artists informed and educated in their roots. 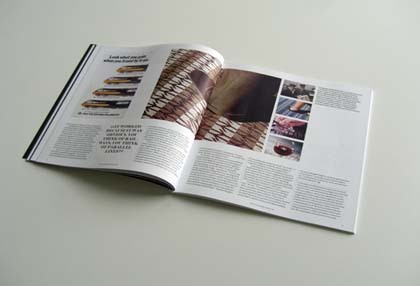 The international taste of the magazine ensures an eclectic mix of what is current and creative in the design community. All designers and art enthusiasts should read Print. 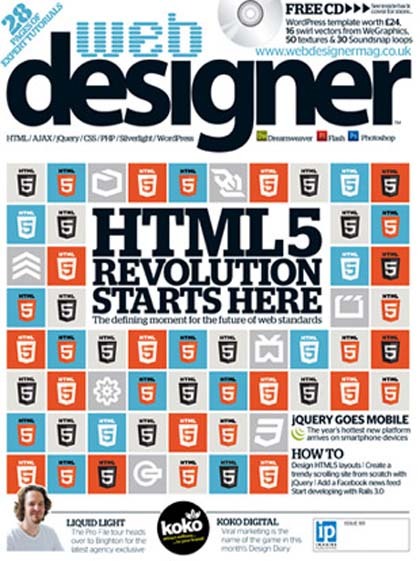 Web Designer is the premier magazine for aspiring online creatives and industry professionals. The monthly title offers cutting-edge practical projects spanning XHTML, CSS, Flash and WordPress as well as hosting features and interviews with the web community’s most influential people. Each issue also has a dedicated Industry section covering news and views from the trade, website showcases featuring the finest design talent and a free CD of valuable resources. 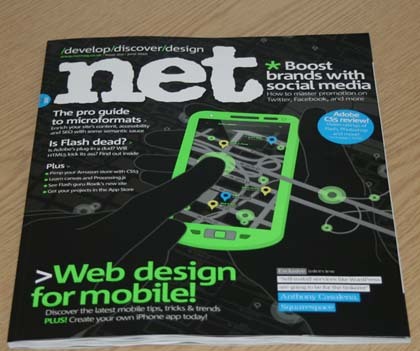 The official blog site at webdesignermag.co.uk offers additional editorial, exclusive interviews, reader support plus a series of entertaining podcasts from the magazine team. 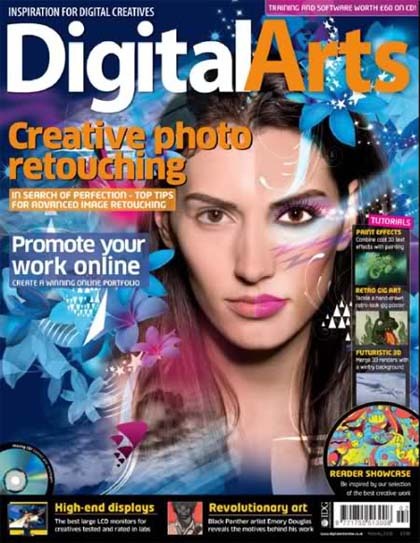 Digital Arts is the UK’s leading resource for creative professionals, both in print and online.Digital Arts consistenly delivers high-quality content, providing its professional readership with the latest news and reviews first.Digital Arts prides itself on providing unbiased product-led information and professional advice, across all platforms and disciplines. Digital Arts uses extensive in-house lab facilities for product assays, producing top-class reviews and trustworthy lab tests. Published in the UK, Digital Arts benefits from the backing of the world’s largest IT publisher, IDG. Through IDG’s global network, Digital Arts has access to the world’s leading writers, reviewers and the best-informed sources in the industry.This month(April) ”Video Tutorials for Adobe Flash Pro” cd is free with the magazine. 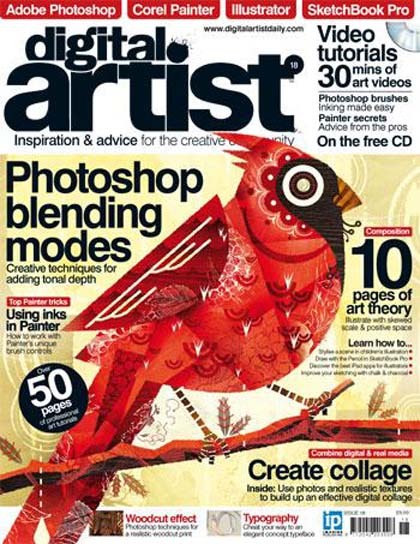 Advanced Photoshop magazine is packed full of expert advice for mastering professional Photoshop skills. Each edition has in-depth tutorials inspired by the latest commercial trends covering all the key Photoshop skills, from digital painting and photomanipulation, to graphical illustration and typographical effects. The magazine also has inspirational interviews with some of the biggest names in the creative world, a tailored Photoshop Helpdesk, and features looking in more detail at industry skills and services. Every issue comes with a free CD, which contains files to aid you with that issue’s workshops, as well as free resources, video tutorials and wallpapers. 3D Artist is an invaluable guide to the world of 3D, whether you are a budding artist or experienced professional. Each issue goes behind the scenes on the latest movies, talks to the most talented 3D artists and features the hottest new technologies. But that’s just the start because 3D Artist is committed to showcasing the finest work being produced by the 3D community, with the Gallery that showcases amazing images to the tutorials and Q&A where inspiring artists share their workflow and skills. 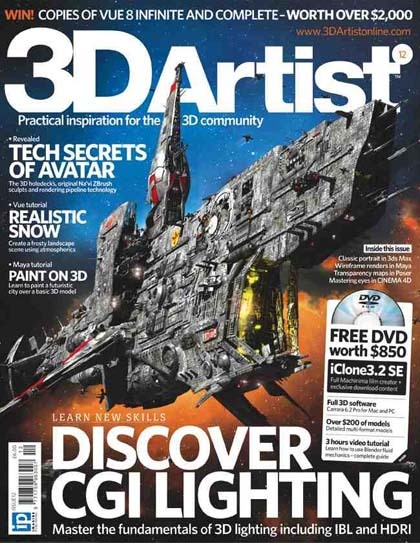 Each issue also contains a CD packed full of models, textures, software and accessories, making 3D Artist the complete package for anyone who appreciates 3D. Digital Artist is the only digital art magazine to cover all styles and genres of digital art and all the software used to create it. Whether you’re into illustration, digital painting or design you’re guaranteed to find a host of inspiring features, tutorials and interviews from the most exciting names in the digital art world. Every issue of Digital Artist is packed with the latest news and trends from the creative community worldwide. Its specialised tutorials from industry experts explain the techniques you need to create high quality, professional artwork in a range of creative styles, while a unique real media section focuses on building your essential drawing and compositional skills. Each issue also comes with a packed resource CD featuring a stunning selection of resources that are free for you to use in your own creative projects. Want to learn Photoshop? 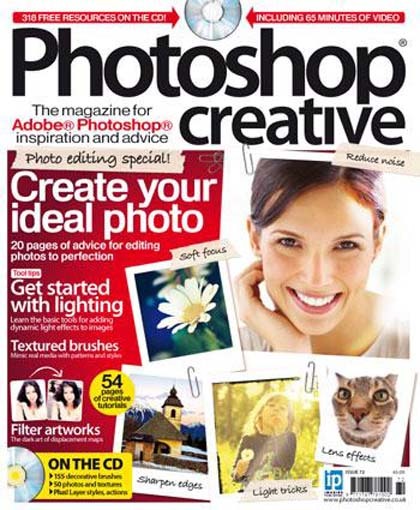 Photoshop Creative is the magazine for you! 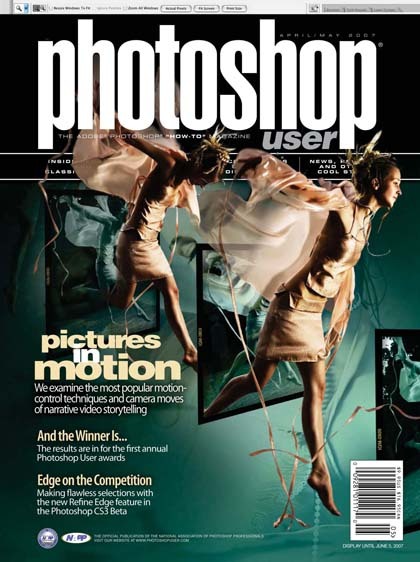 Aimed at the beginner/intermediate user, each issue demystifies Photoshop techniques and offers ideas for transforming your digital photos. Readers learn tasks such as performing simple photo edits, creating digital art from photos, designing scrapbook pages and developing photomanipulations. Regular features look at a Photoshop topic in more depth, while focussed tool guides give an understanding on how a particular tool or command works. Each issue comes with a free CD containing video tutorials and creative resources such as brushes, stock photos, textures and more. 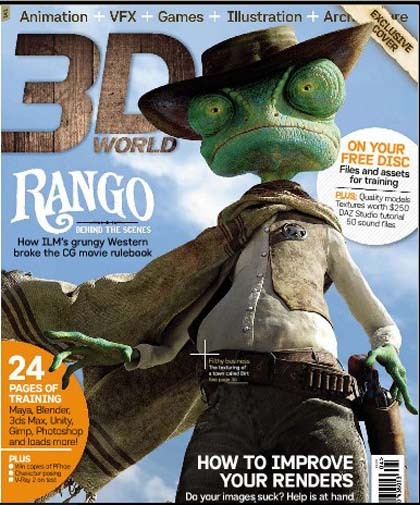 3D World is the leading magazine for CG artists.3D World is the best-selling international magazine for 3D artists, covering the fields of animation, VFX, games, illustration and architecture. Each issue provides analysis of latest trends in the market, artistic and technical advice, impartial product reviews, and exclusive behind-the-scenes articles on the making of key projects in this fast-paced industry. For those wanting to improve their technical skills, the magazine provides tutorials, tips and step-by-step guides covering every major 3D software package, from freeware to professional applications such as 3ds Max, Maya, Cinema 4D, LightWave 3D and Softimage. Photoshop user is the official magazine of NAPP comes delivered to your door with your NAPP membership.This print magazine published 10 times a year,is the most trusted source in the graphic design,photography and digital arts worlds.Subscriptions to ”Photoshop User” are only avaliable to NAPP members. 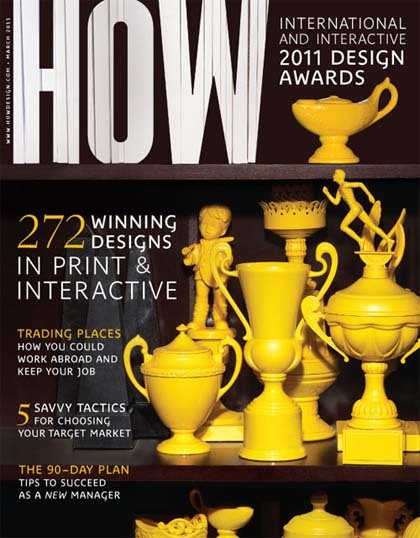 Founded in 1985, HOW Magazine provides graphic-design professionals with essential business information, covers new technology and processes, profiles renowned and up-and-coming designers, details noteworthy projects, and provides creative inspiration. The year-end Business Annual has become a respected resource for its articles about studios across the U.S. In addition, HOW holds annual Self-Promotion, International and Interactive Design competitions and features the results in special issues. Other frequently profiled topics include digital design, creativity, typography and paper. 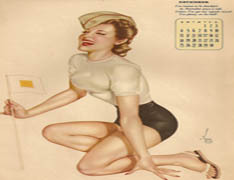 The magazine is published in Cincinnati by F&W Publications. 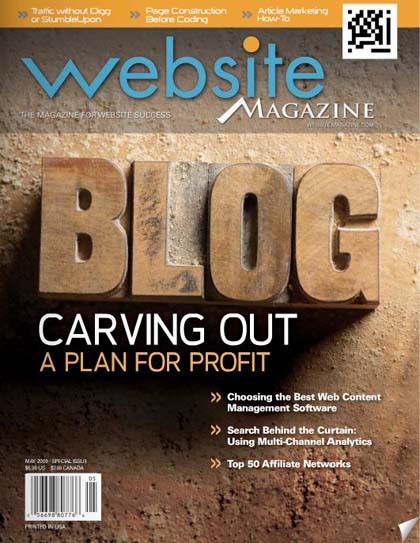 Website Magazine is the one magazine to focus exclusively on the business of running a website: tips for successful websites, solutions for enhancing website traffic, the latest Internet industry trends and statistics, as well as news analysis on the Internet industry.By providing a broad scope of useful articles and tapping premier talent in the industry, Website Magazine covers all the elements that together make websites successful: search engine optimization and marketing, website design, content management, blogging, E-commerce, online advertising, email marketing, analytics, web software and applications, customer service/customer relationship management, web hosting, mobile web and more. 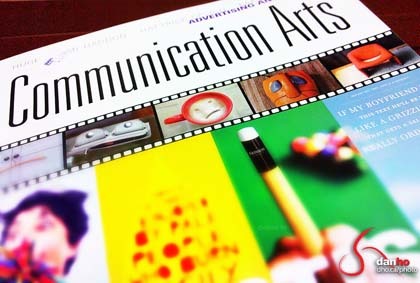 Founded in 1959, Communication Arts is the premier source of inspiration for graphic designers, art directors, design firms, corporate design departments, advertising agencies, interactive designers, illustrators and photographers—everyone involved in visual communication. Whether in print or online, CA’s editorials, feature articles and the annual competitions it sponsors provide new ideas and information, while promoting the highest professional standards for the field. Now in its 50th year, CA continues to showcase the current best—from industry veterans to tomorrow’s innovators—in design, advertising, illustration, photography and interactive media. Before & After magazine has been sharing its practical approach to graphic design since 1990. Every eight articles, will be mailed to you a beautiful, commercially printed issue in high resolution on glossy paper, bound and three-hole punched. Identical to the PDF subscription and includes the PDF version free. 3 printed issues, 24 total articles. Creative Review magazine was launched in London in 1980. They have subscribers in over 80 countries and readers online in over 120.The aim of Creative Review is to inspire, inform and stimulate debate among our readers in graphic design, advertising, digital media, illustration, photography and all other fields of visual communication worldwide. We do this in a number of ways. 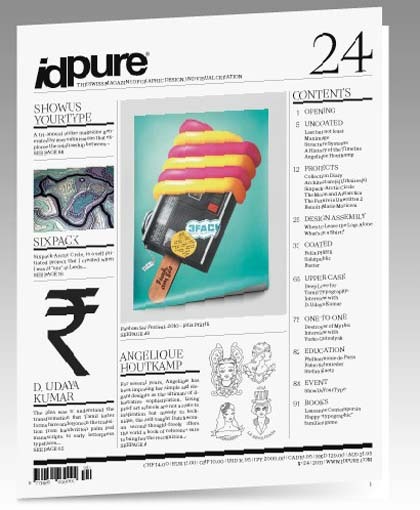 IDPURE is a magazine dedicated to professionals working in the graphic arts, images and design, as well as to those working in the areas of creation and visual communication. It is also addressed to people who are sensitive to and interested in their visual environments. IDPURE offers a comprehensive picture of the world of creation in Switzerland and abroad. It also provides a meeting place between professionels and customers in the domain. Primarily visual, IDPURE is designed to provide a source of information, inspiration and expression. 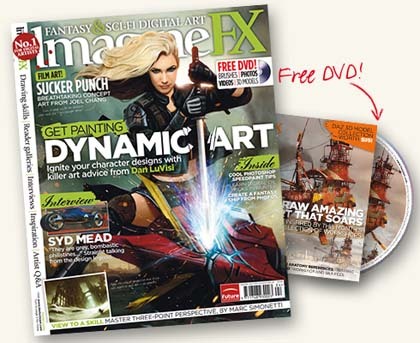 ImagineFX is a digital art magazine that features workshops and interviews with artists from the science fiction, fantasy, manga, anime, game and comic disciplines.Published in Bath, UK by Future Publishing since January 2006, its main focus is the workshops featured in the second half of the magazine.Each month the magazine features an interview with artists. 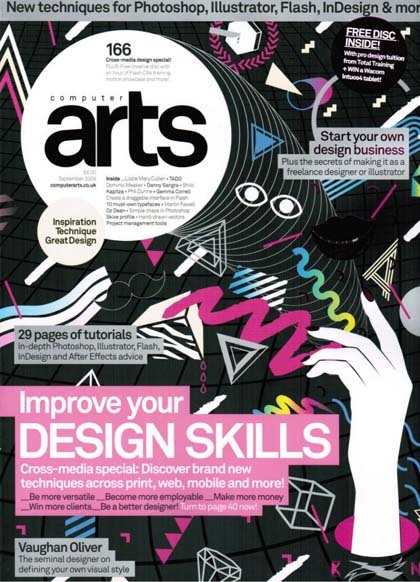 Computer Arts Projects is the successful monthly spin-off of Computer Arts magazine. Each issue gives you an in-depth guide to a different creative subject, and recent issues have covered themes such as print design, web design, Photoshop, typography, packaging, creative advertising, and how to start your own design business. Inside every edition, you’ll find great step-by-step tutorials and tips from the best digital artists in the business, showcases and profiles of up-and-coming talent and established creatives, as well as explorative features on the subject in hand. Computer Arts is definitely my favourite. Very nice post !!! Actually rarely do I encounter a blog that’s each educative and interesting. 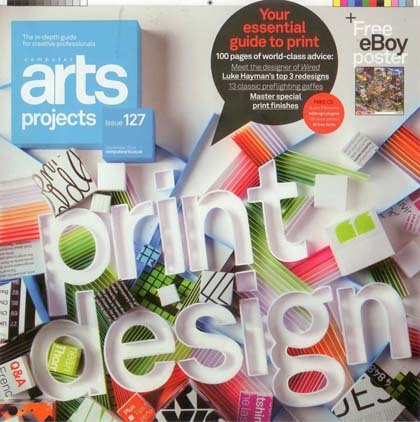 I m definitely a photoshop user and good to know the collection of graphic design magazines ……. Hi, i’m from Miami & i’m completely new in web design…i was actually looking for these type of blog and i got it here..what a great collection of magazines! !Thanks a lot! !